The University of Sydney has granted an exclusive licence to Australia’s largest manufacturer of orthopaedic devices, Advanced Surgical Design and Manufacture Limited (ASDM) (ASX: AMT), to bring a new material called strontium–hardystonite–gahnite (Sr-HT-Gahnite) to market. It is a biocompatible ceramic that can treat bone loss, even in load-bearing parts of the skeleton. 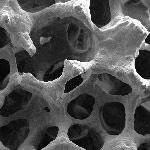 In preliminary studies, Sr-HT-Gahnite has duplicated the mechanical strength, elasticity and bioactivity of bone. 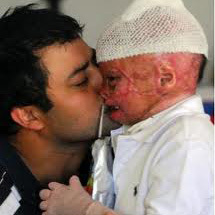 Importantly, it is 100 times mechanically stronger than the synthetic bone substitutes in clinical use today. This will greatly extend the applicability of bone substitute materials into areas where currently only natural bone grafts, with their limited availability, or metal implants, can provide the necessary strength. Prof. Hala Zreiqat and her research group have been working for more than 20 years on developing this technology. 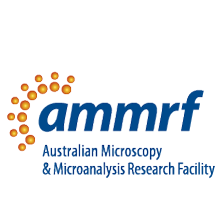 Scanning electron microscopy and in-vivo X-ray microtomography in the AMMRF at the University of Sydney and the University of Adelaide has enabled their research. ASDM CEO Tom Milicevic said, “This is an exciting project for ASDM and fits our strategy of developing a portfolio of products in orthopaedics. 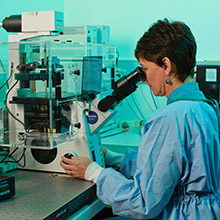 This material is a novel breakthrough technology with huge global potential. According to the 2010 Global Data report, the bone graft market was valued at US$1.9b and is forecast to grow by a CAGR of 8.3% more than doubling the market by 2020.�?